SmokerBuilder Gathering Sign Up Form! Welcome to our new users! Share this!Facebook0Google+0LinkedinTwitterTumblr0StumbleUpon0Pinterest0DiggemailJust wanted to say welcome aboard to our new users! I look forward to hearing ideas and Input on topics from you all! Get Parts for your Smoker Build! What Can A Simple Charcoal Basket Do? DoublePan™ Gravity Feed Smoker DIY Kit Now available!!! 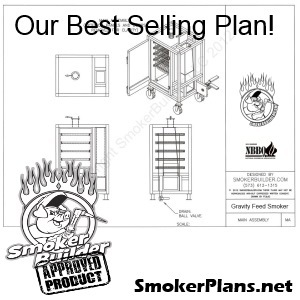 Mack Smoker Plans Now Available!! !